Planting Dates: For spring garden, 4-6 weeks before the last average frost. For the fall garden, 8-10 weeks before the first average frost. In general, January 10 - March 15 or as soon as the soil has reached 50° and September 10 - October 31. Planting Method: Broadcast the seed or plant in rows 4-6" apart, 1/8-3/4 inch deep. Soaking the seeds overnight is helpful. Tamp the soil lightly after installing the seeds. Seed Emergence: 7-20 days at 60°. The range is 45-75°. Spinach seeds germinate poorly in warm soils. Seeds will actually go dormant if temperatures are more than 77°. 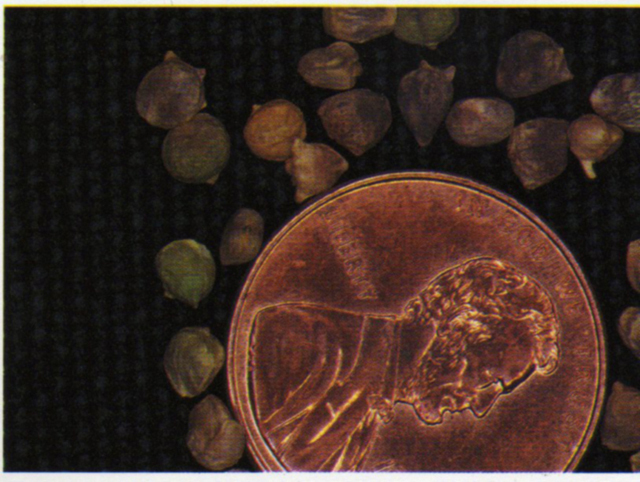 Germination can be sped up by putting the seed in water and leaving in the refrigerator for 24-48 hours. Harvest Time: 40-70 days, before the weather turns hot and as soon as the leaves are an edible size. 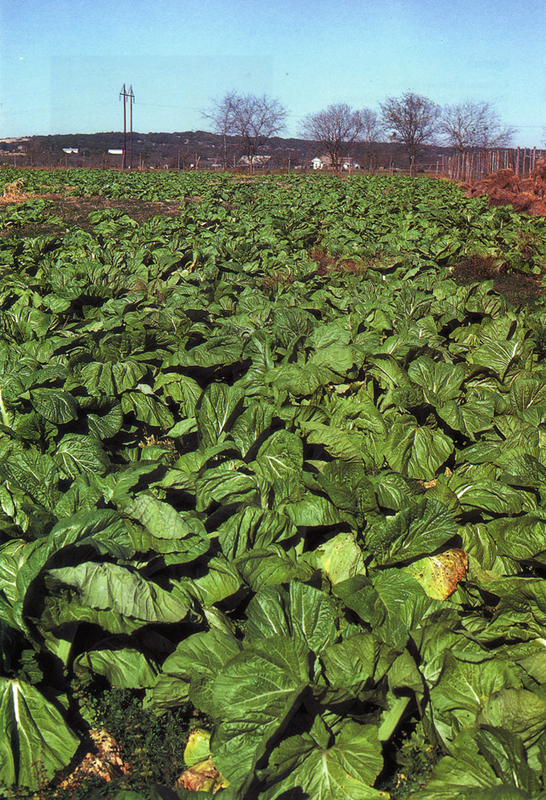 Growth Habits: Spinach is a relatively shallow-rooted leafy vegetable that bolts easily in warm weather and warm soil. 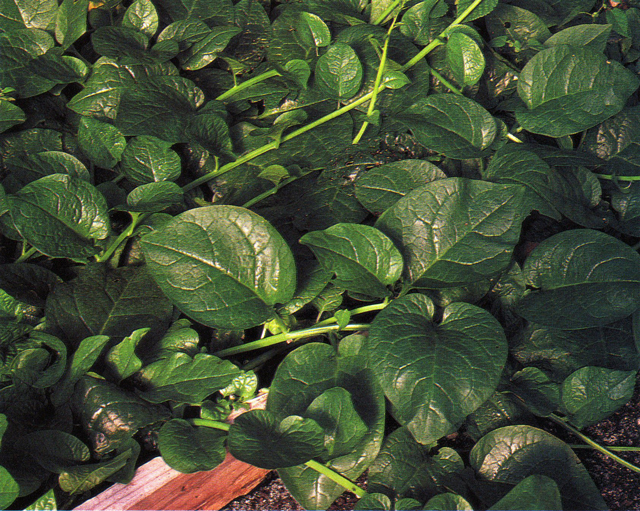 Culture: Spinach likes temperatures between 50-60°. Prepare beds with compost, lava sand, sugar, and soft rock phosphate. Add Texas greensand to alkaline soils and high-calcium lime (calcium carbonate) to acid sandy soils. Fertilize the soil at planting time with organic fertilizer and again after the 1st major harvest of leaves. Spray at least monthly with Garrett Juice. Give spinach room. Crowded conditions cause stemming and poor quality plants. Spinach also doesn’t like highly acid soils. Mulch is very important. Troubles and Solutions: Bolting can be avoided by growing in cool weather. Flea beetles, aphids, and spider mites are controlled with a basic organic program. Spray for heavy infestations with citrus-based products. Cutworms, loopers, and green worms can be controlled with trichogramma wasps released during the spring growth or more short-term with Bt sprays. Spring plantings tend to bolt and go to seed easier than fall crops. Warm temperatures and long days encourage bolting. Grub worms are controlled with beneficial nematodes. White rust fungi can be controlled with Garrett Juice plus garlic tea and and clean the plants with BioWash. Harvest and Storage: Harvest the foliage any time the leaves are large enough to use. Small leaves are more tender. Smooth-leaf types are thought to be best for canning, the crinkled-leaf (savory) types are best for fresh use. Eat right away or store in the refrigerator for up to 2 weeks at 32-40°. Notes: Spinach is good tasting and good for you either raw in salads or cooked. Other vegetable gardening books may tell you to add total-nitrogen fertilizers. What a totally silly idea. Nitrogen only fertilizers contain no trace minerals and no organic matter. Varieties: There are smooth and crinkled leaf varieties available. ‘Melody’, ‘Bloomsdale’, ‘Hybrid 7’, ‘Iron Duke’, and ‘Long Standing’ ‘America’ are good varieties. Plant from transplants: ‘Coho’. 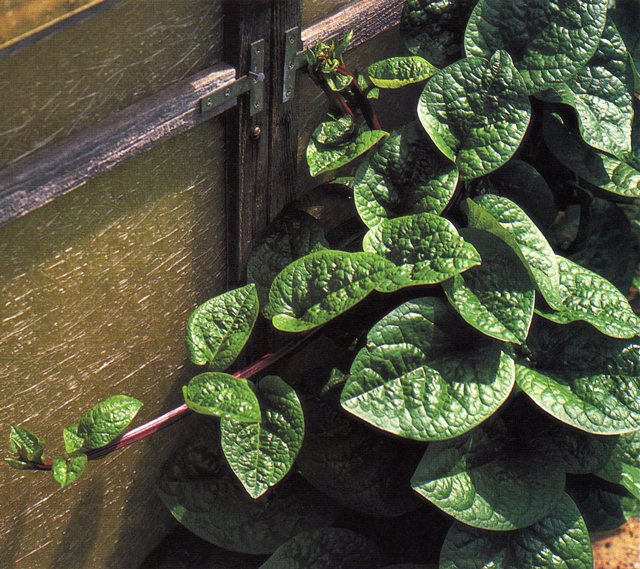 Summer spinach (not really spinach) include ‘New England ‘(a bush type), ‘Malibar’ (a climber), ‘Dixie Savoy’, ‘Fall Green II’. These are frost tender.